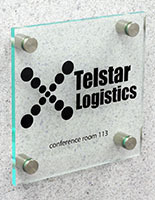 These Directory Signs Present the Custom Logos and Signage of the Business! 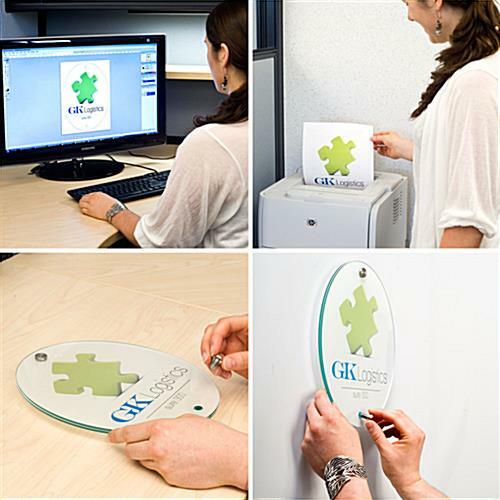 These Office Fixtures Are Interior Lobby Signage with an Easy to Install Design! These Directory Signs Ship Fast! 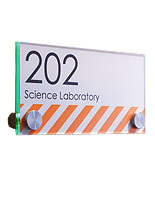 Acrylic plates have green edges and hold 10" x 8" signs. (2) stainless steel standoffs for modern-looking mounts. 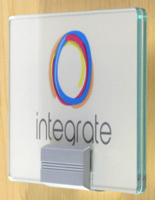 Creates attractive signs on walls or doors in office settings, lobbies and galleries. 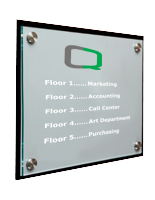 These directory signs, like interior lobby displays, project a sense of elegance with the green colored edges. The acrylic materials intentionally look like glass for a look that is more upscale. These directory signs are also economic options, which is a very important factor when purchasing new displays. 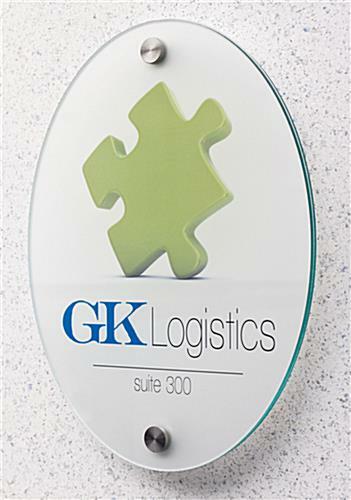 The directional systems include with not just frosted but also clear printable films to best present company logos in an establishment. Both types of film will work well within the systems. These directory signs include extra films to enable users to make signage later on in the future. Templates, detailed below, may be downloaded to interest to place logos and messages more easily in the signage. These directory signs secure the printed messages within the panels in a sandwich style and fixed to the wall with the standoff set. Make the visiting experience enjoyable for clients and guests with these panels! 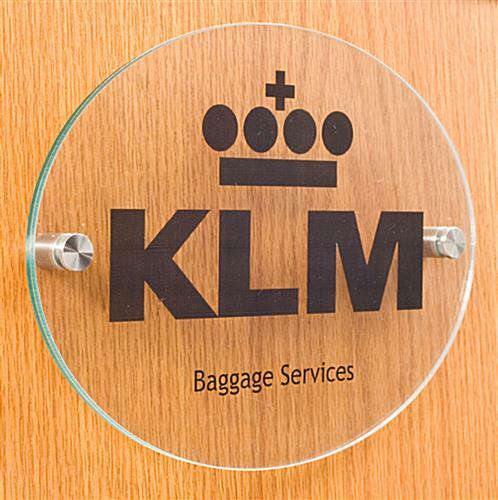 These custom directory signs have an attractive oval design for improving the décor in many different spaces. 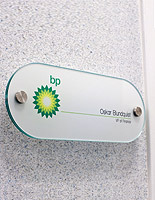 The building signage systems may display the company logo, demarcate room numbers, or name plates to help visitors get to the proper location. 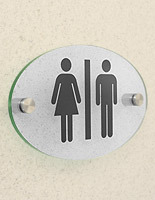 These directory signs, commonly called office labeling solutions, are often found within transportation stations, educational facilities and other public establishments with multiple rooms. The interior signage panels enable user to quickly personalize because the organization can readily print the information on the lenses. 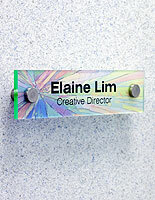 These directory signs include printable film sheets for mounting the messages. Users are free to set up many of these ads throughout the building. 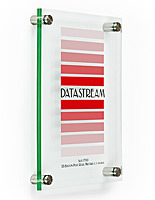 These directory signs come with the necessary hardware in order to let users attach their ads almost immediately. Many offices affix the panels to the way, but the units are capable of fastening to all sorts of flat mounting surfaces in a sturdy fashion.